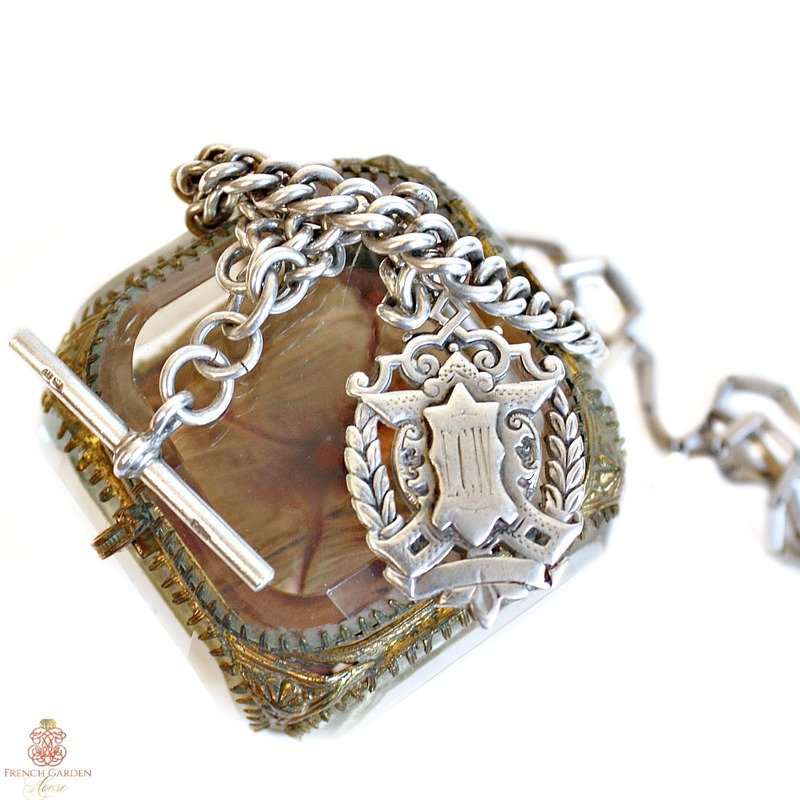 Exceptional Antique Sterling Silver Necklace, with an award fob monogrammed with E C W from the 19th century. 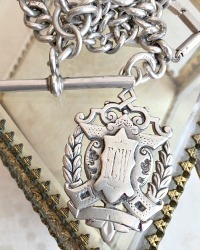 This fob is hung from a heavy sterling chain, then joined to another lighter silver chain, no doubt so that the original owner could wear this family heirloom as a necklace. 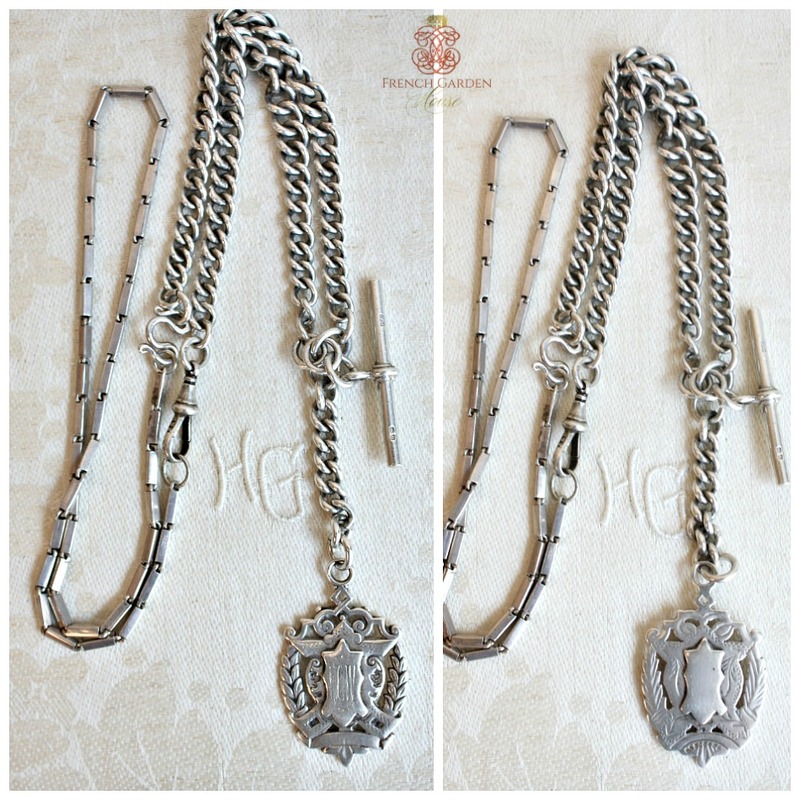 Measures: Chain: 29" long; Pendant: total length drop: 3-3/4" x1"w.